Business Intelligence Solutions | FusionWare Integration Corp.
FusionWare Integration Corp. has many years experience with Business Intelligence solutions. The solutions we have developed have grown and evolved over the years to constantly bring in new technologies and techniques to serve your business. FusionWare Integration Corp. can bring advanced reporting technologies such as Microsoft SQL Server Reporting Services, Business Objects and Crystal Reports to your company. Whether your data is stored in a relational database or MultiValue one we can help you. We can help with end-to-end solutions or merely provide connectivity you never knew was available to make business intelligence available to you. 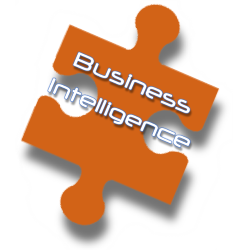 Our team of experts can help build analysis solutions using the tools of your choice or we can provide some of our tried and true tools as part of a complete business intelligence solution. If you prefer SQL Server Analysis Services or simply want to analyze your business data using a spreadsheet such as Microsoft Excel, FusionWare Integration Corp. can make that solution available to you quickly and economically giving you a clear competitive advantage in today's tough business environment. Our Data Warehouse/Data Mart solutions will allow you to provide business intelligence solutions such as Reporting and Analysis without putting pressure on your existing line of business. Let our experts explain how a well designed Data Warehouse can provide fast results that can help your business now, without any negative impact on your current operations. Behind our solutions are a collection of tools of proven pedigree. These tools are an integral part of a complete solution and the foundation of these tools is built on decades of use and response to customer needs.